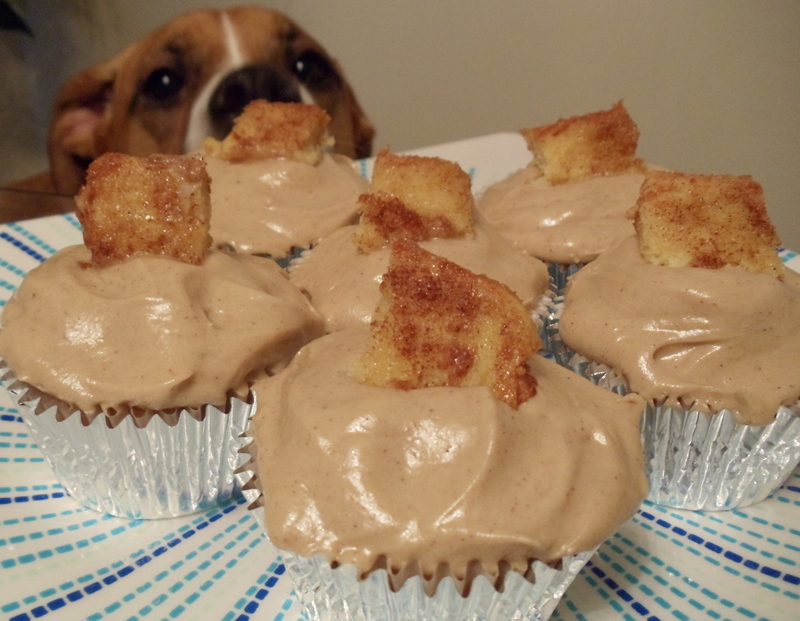 Wow, it’s been a while since I posted a recipe. The weeks sure can go by quickly, especially when most of my life feels like it’s spent dealing with my new little bladder. Anyway, after dealing with our plumbing issues of last week, I decided we needed a yummy breakfast so we tested out a new recipe I’d bookmarked. 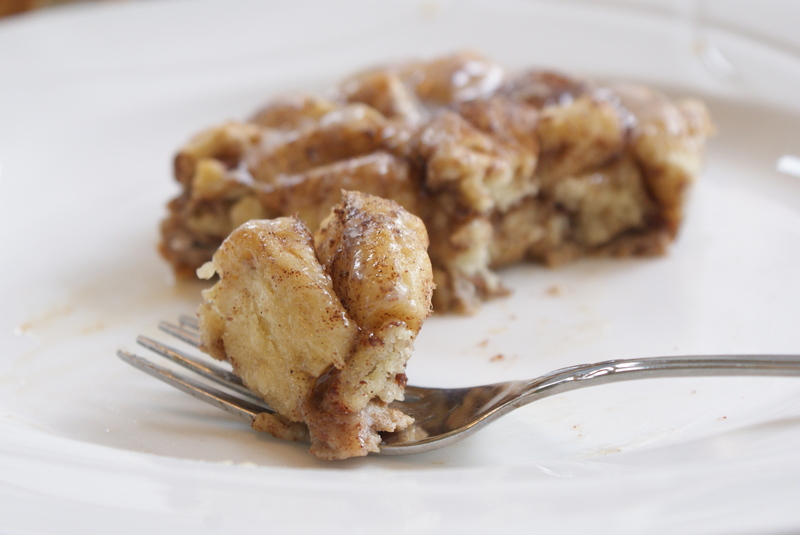 Cinnamon French Toast Bake. 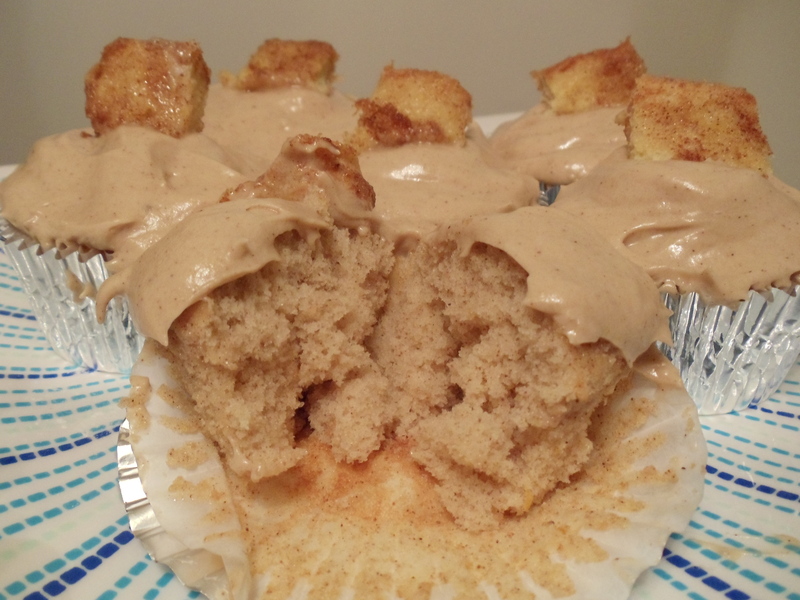 This recipe was simple (always a plus), however, not quite what I was expecting. I know the title says “french toast” but for some reason I was still expecting more of a cinnamon roll taste. It was good, not something to write home about, but certainly worth a taste. It didn’t hit the spot for us, perhaps it will for you though! 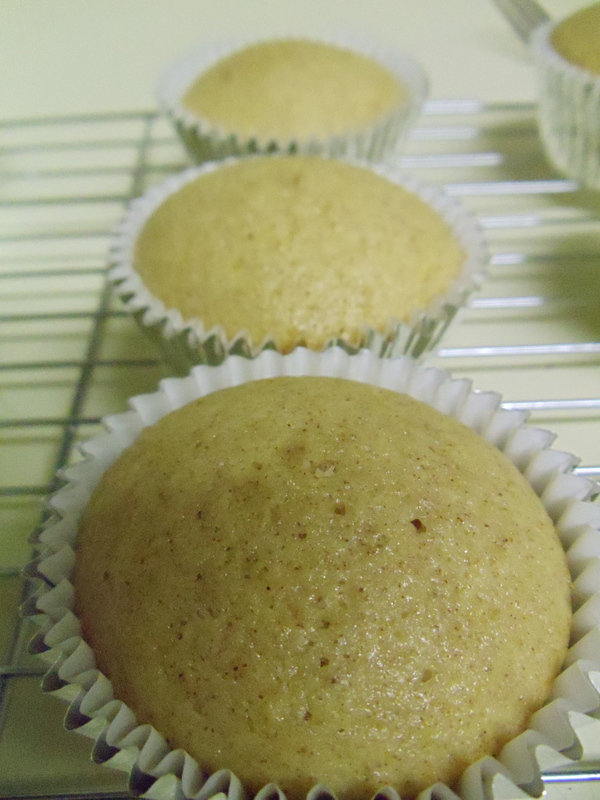 I’ll probably do a little tweaking to the recipe before making it again. Melt butter and pour on ungreased 13×9 inch glass dish. 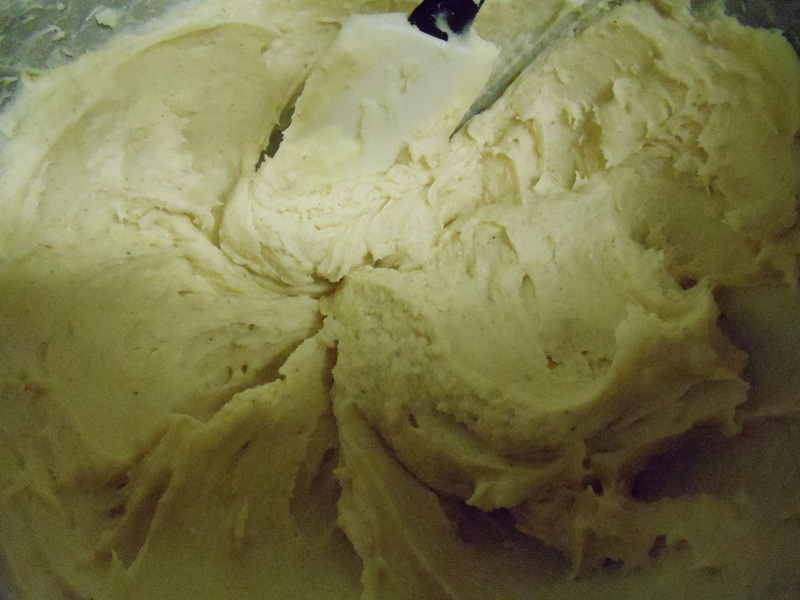 Separate cans of dough into 16 rolls reserving the icing for later use. Cut each roll into pieces and add to buttered baking dish. 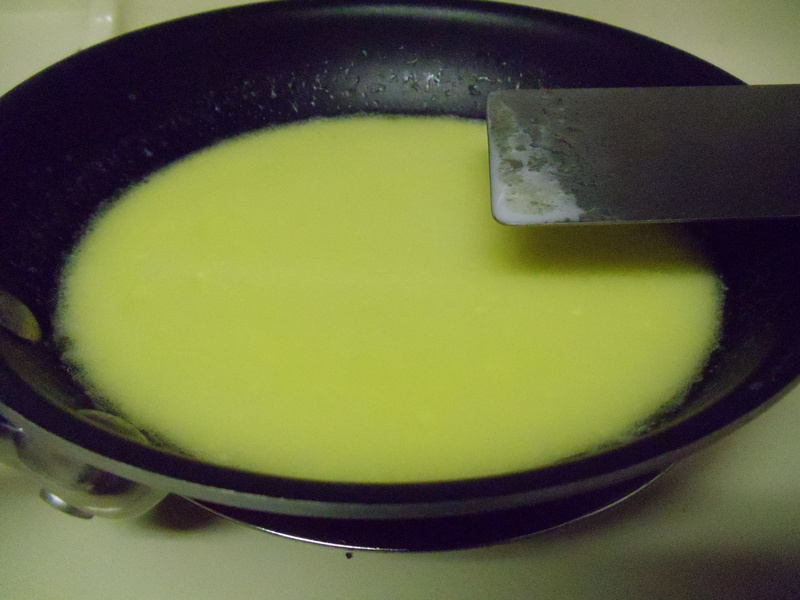 Then beat eggs in medium bowl. Add cream, cinnamon and vanilla and beat until well blended. Pour over cinnamon roll pieces in pan. Drizzle 3/4 cup syrup over the top. Bake at 375 for 20 to 28 minutes or until golden brown. Cool 15 minutes. 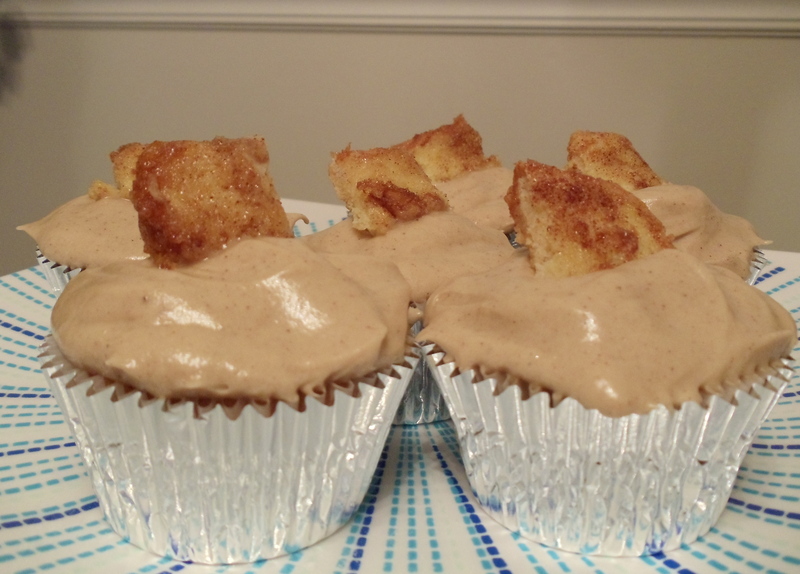 Warm icing you’ve set aside so that it’s thin enough to drizzle. 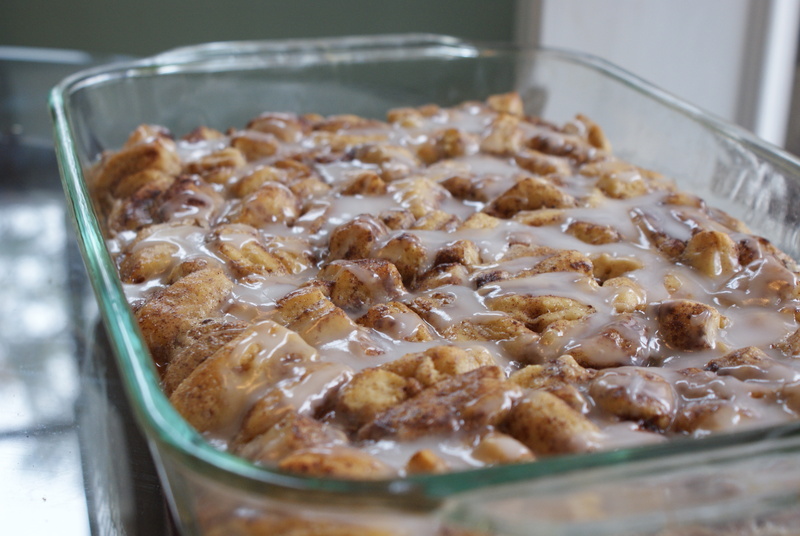 Then drizzle it over the cinnamon french toast bake and you’re ready to eat!